A meat processing plant, with locations throughout the United States, has become a lead producer of premium meat products. The company controls every step from research and development to the high quality meat products they produce. Their current operations rank them among the top ten meat producer and processors in the United States. Not only have they gained market share in the United States, but they are also one of the leading exporters from the United States to premium foreign markets. With their two large scale processing plants, located in Oklahoma and Missouri, the company processes over 5 million hogs annually. These two plants combined represent the fourth largest daily slaughter capacity for pork, representing about 9% of the US slaughter volume. With so many hogs produced annually, the processing plants strive to produce high quality, safe, good products which are USDA Process Verified. The USDA Process Verified points include meat quality, source verification, and animal handling. 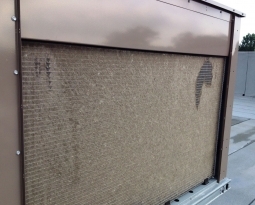 To ensure these standards, the meat processing plant gets some custom air filters from Permatron. 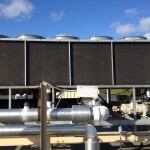 The meat processing plant uses vent cap air filters from Permatron on their rooftop equipment. 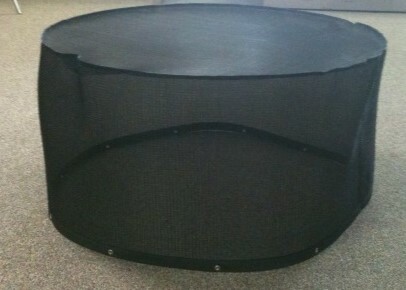 These vent caps are made with black honeycomb polypropylene media, which effectively removes airborne particulates, and finished with vinyl binding and grommets. 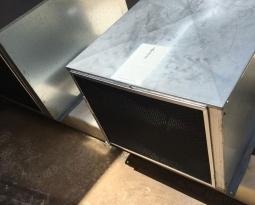 The vent caps are used to capture incoming debris and outgoing particulates through ventilator fans on the plants rooftops. 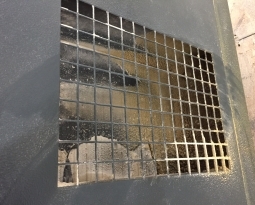 The incoming vent cap air filters stop any infiltration of large long fiber contaminants from entering the plant and contaminating meat products. 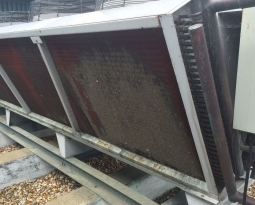 While the outgoing vent cap air filters stop spice and pepper particulates from being dispersed into the ambient air around the plant. 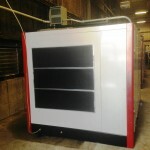 Click on the following link for more information on our 3 dimensional air filters.